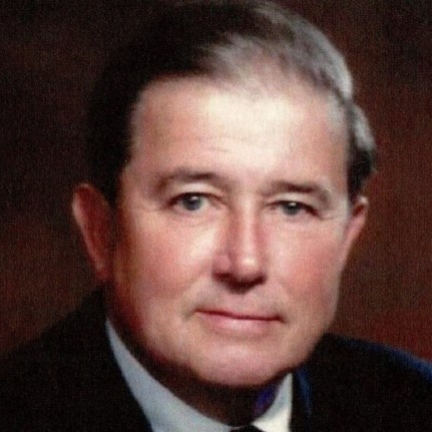 DeRoy C.“Pete” Thomas, of Palm Coast, FL, passed away on March 19, 2019 at the age of 93. Pete is survived by his beloved wife Doris (Bruneau) Thomas; his son Peter and daughter-in-law Beth; his daughters Patricia, Katherine and Elizabeth; his grandchildren DeRoy, Shannon and her husband Brandus, Clint and his wife Jill. The son of immigrant working class parents, he grew up in The Bronx attending Cardinal Hayes High School, Iona College and Fordham Law School where he received the Chapin Prize for being first in his class all three years. He worked his way through school with various jobs including singing telegram delivery and ship welder. He was a member of “The Greatest Generation” serving honorably during World War II. He was admitted to the New York Bar in 1952, taught law at Fordham Law School and was a lobbyist for the insurance industry. In 1964, he joined the Hartford Insurance Group as an Attorney, ultimately became General Counsel and was appointed Chairman and Chief Executive Officer in 1979. In 1983 he joined ITT in New York and retired in 1991 as its President and Chief Operating Officer. He was a member of the Board of Directors of Houghton-Mifflin and Connecticut Natural Gas. Community service was always an important part of his life and he chaired two critical commissions for The State of Connecticut, The Commission for the Restructuring of Higher Education and The Commission to Study the Management of State Government. He served as a trustee for Fordham University, Wheelock College, University of Hartford, Hartford Hospital, and CT Health System. He also served as Chairman of the Old State House Association and President of the Goodspeed Opera House. He was respected and admired for his rare intelligence, wisdom, integrity and gentle sense of humor. He loved summers on Block Island, Frank Sinatra, tennis, reading and his church. He was adored by his family and will be sorely missed. A Mass of Christian Burial was celebrated in Flagler Beach, FL. He will be buried with military honors in St. Joseph Cemetery, Bristol, CT, on Wednesday, April 10, 2018 at 11 AM.. In lieu of flowers donations may be made to: St. Vincent de Paul Society – 400 S Daytona Ave, Flagler Beach, FL 32136 Fordham University School of Law, DeRoy C. Thomas Scholarship Fund ,150 West 62nd Street, New York, NY 10023.